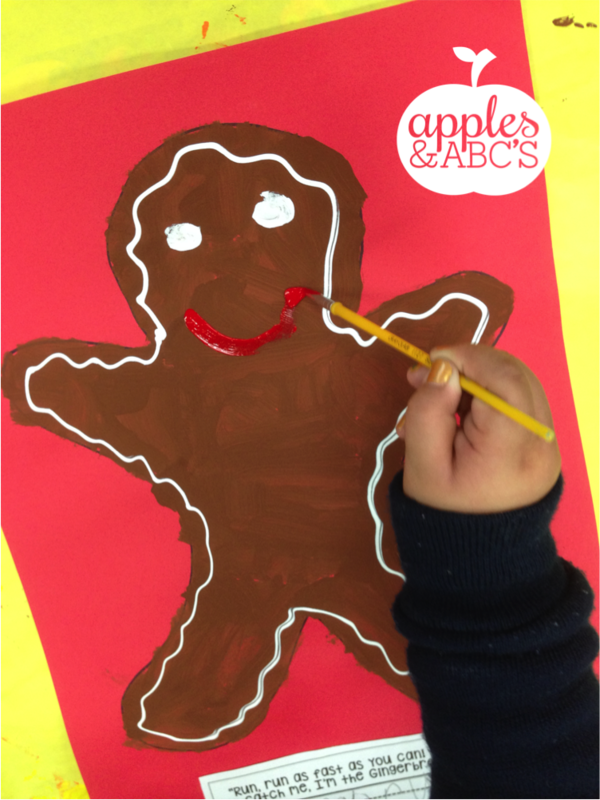 We are studying The Gingerbread Man all week long! I am reading all of the different gingerbread stories and the kids are LOVING it! I decided to try a gingerbread painting with them! Then I traced a gingerbread outline on a piece of large construction paper. 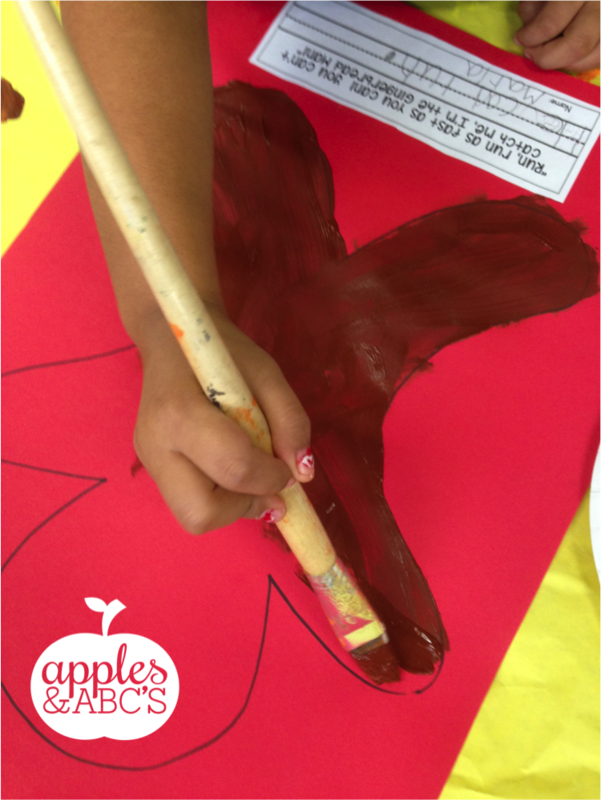 The kids painted the inside of the lines brown. The following day we painted white eyes, three glitter buttons, and one red smile! 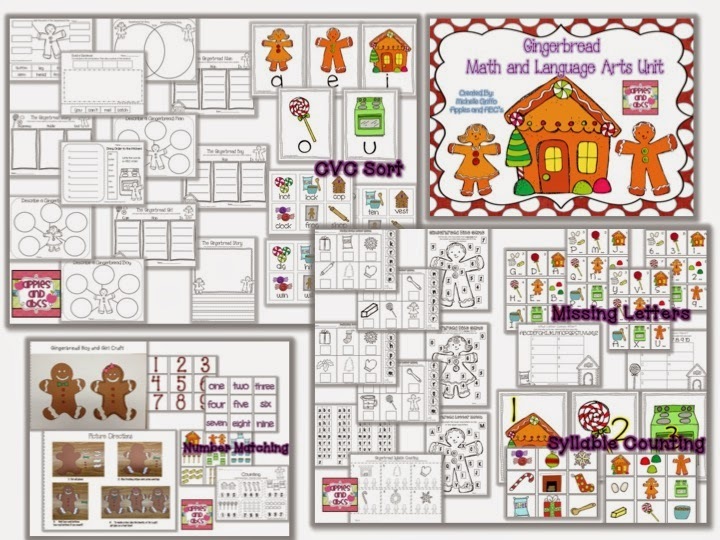 Download the gingerbread and writing template HERE! 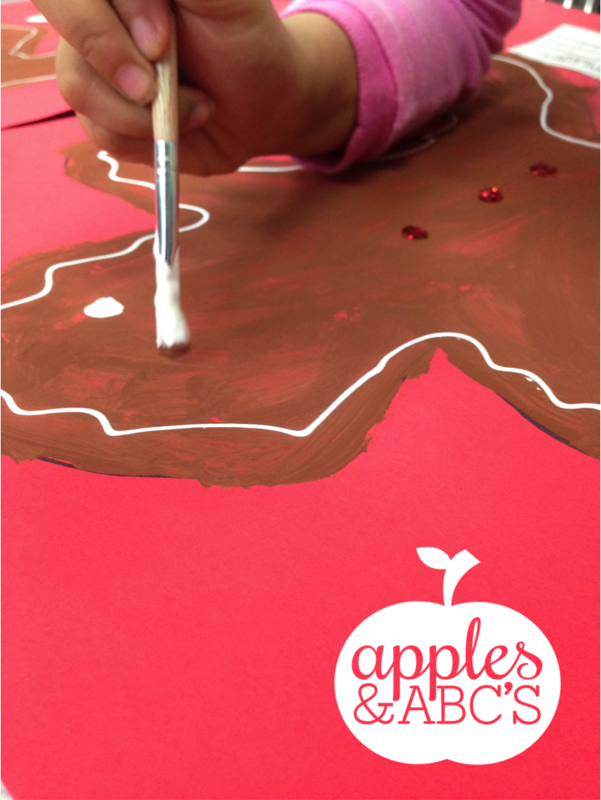 Along with this painting craft we have been using parts of my Gingerbread Language Arts and Math Unit! How cute!! I love this!! 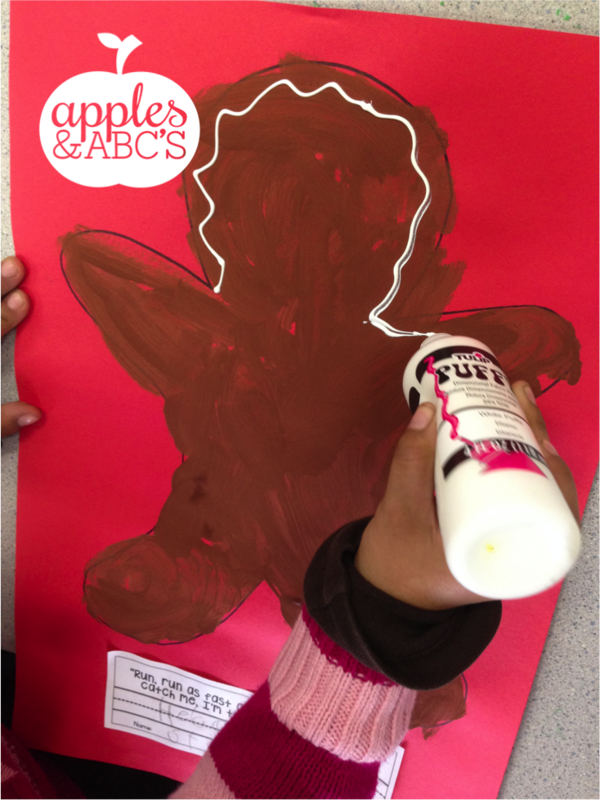 Love this idea- You can mix glue and shaving cream to make puffy paint. I use it for our Snowy Day pictures each year. As long as it is thick it should dry nice and puffy.